We have marked a top most position in the market by offering a high quality range of Dog Scissor. - The Swan series is the shear for fashionable groomers who demand performance and value. - Each shear is made of stainless steel. We deals in Pet Grooming Scissor. Fully AC clean hygienic, veg and non-veg food, dry food, milk, bread, biscuits whatever your pets like we provide take care weekly or monthly. Scoopy Scrub provides Basic Grooming Course in two levels. We provide pet grooming services for all your pampered pooches and cats at our Pet Spa at our camp branch in Pune. 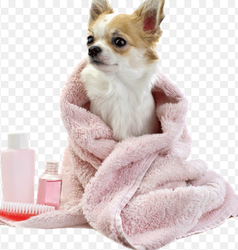 So next time you want to pamper your pet head to peppy paws pet spa.